Compact dual-band DMR transceiver. The unit covers the 2 m and 70 cm bands in analog (FM) and digital modes. Supported modulations are 7K60FXD / 7K60FXE for digital and 16K0F3E / 11K0F3E for analog. Built-in GPS receiver, preprogrammable short text messages, programmable VFO, color display, two-slot DMR, automatic analog/digital detection and voice recorder. Ok... I got the HT... NOW WHAT?! Ok... I bought bleeding edge. I would expect a little better directions. NOTHING. Nothing on their site or the vendors\distributor's site. I got a 23 page user manual which basically had more specs and what the buttons where for. Now I would like software and a PDF that's a little more detailed please. Unboxing: standard packaging, battery, charge stand, belt clip, antenna, and the radio. The radio was charged I would say half way. I've owned this radio for about a month, and learned to program the Channels and Settings manually -- mainly because we're an OSX (not a Windows) household. Know that there is not a Mac version of the programming software available, at least that I'm aware of. Overall, I'm satisfied with this as a first radio. It's helped me power through the steep learning curve. The unit seems well made, reports are generally very good, and I was able to muddle through setup over the course of a day or two along with a new OpenSpot2 hotspot. I've only connected directly to a DMR repeater once -- the rest of the time has been through the hotspot here at home. 1) Documentation, videos, and help are sorely lacking. Yes you can find some more detailed information (see other posts about the Commercial reseller that has manuals) -- but do not expect to have anything useful packaged with the radio, beyond a description of the controls. I purchased an Alinco vs. a cheaper Chinese radio, hoping to avoid this very issue. 2) Processor power appears to be very limited -- as audio cuts out on receive as you scroll through the menus. 3) Just not a super intuitive menu for setup. But, I will say this has as much to do with DMR being a Commercial technology adapted to Amateur Radio use -- and the associated public-sector use cases that drive the features on the radio. Features most hams will never find a use for. 4) The software that you can download (again you have to search around for this software) to load your code plugs is lacking in documentation -- so plan on making mistakes and suffering a bit of frustration as you build your code plugs. There are a few videos on YouTube stepping you through this, made by other hams -- but nothing decent that I can find from Alinco. 5) For hotspot use, I'd recommend getting a super compact Rubber Duck vs. the big one that comes with the unit.... I've replaced mine with a Diamond that's about 3 inches long for hotspot use. Estimating the value of a rig can be challenging. 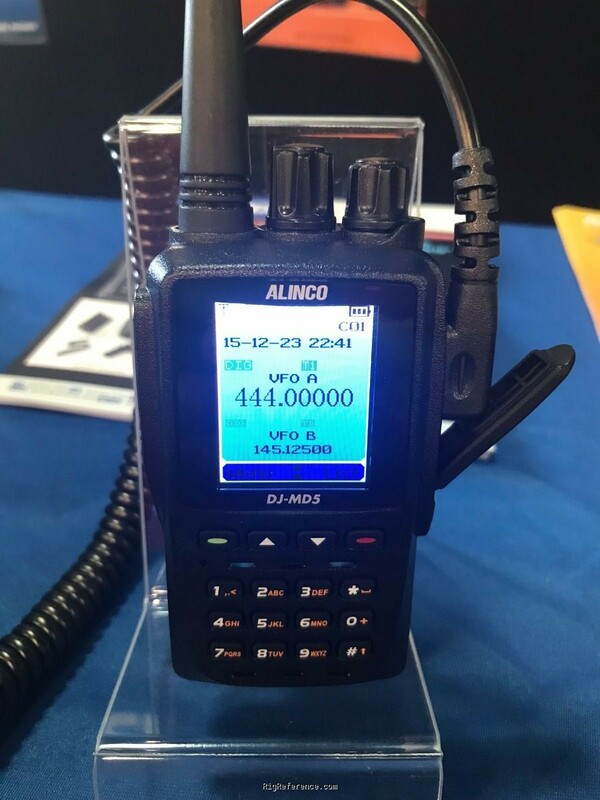 We collect prices paid by real hams over the years to help you estimate the current value of the Alinco DJ-MD5. Just bought or sold this model? Let us know what you traded it for and help other ham operators!